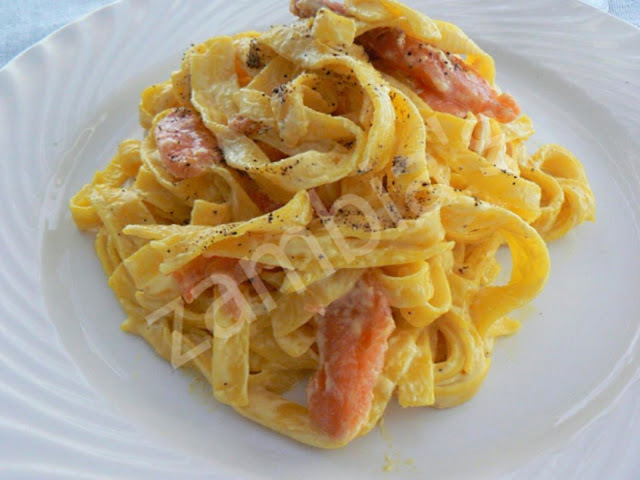 Tagliatelle with delicious creamy white sauce of cream cheese, chopped smoked salmon and freshly ground black pepper! 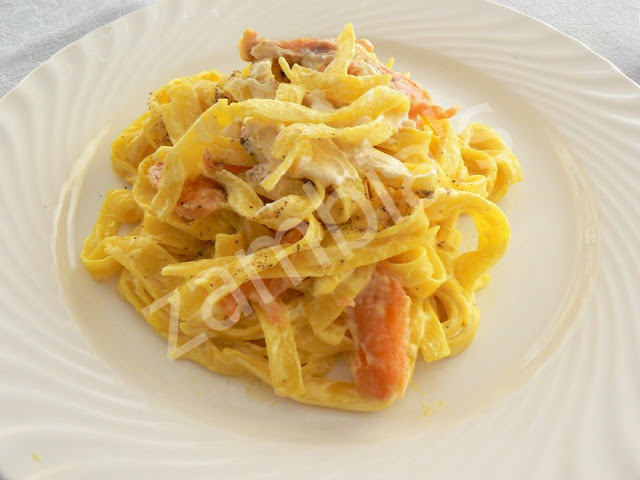 Let's go, then, for a very tasty pasta! Pasta lovers will definitely be happy. 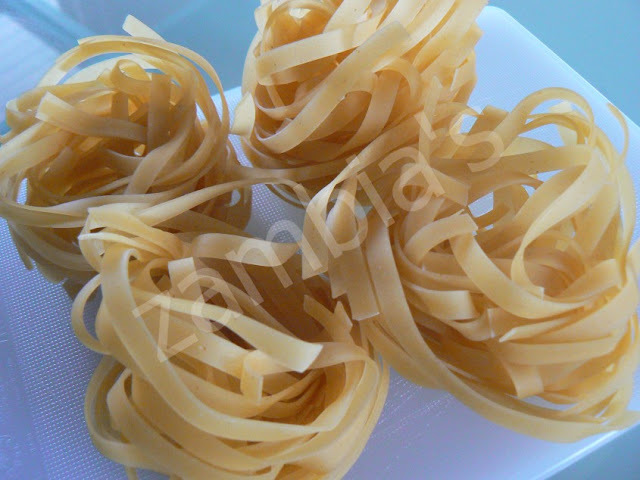 Buy the thinest tagliatelle you can find in the SuperMarket. Boil them in a large saucepan in plenty of water along with olive oil and some salt, for ~5'-6' or so until they become as soft as you like. 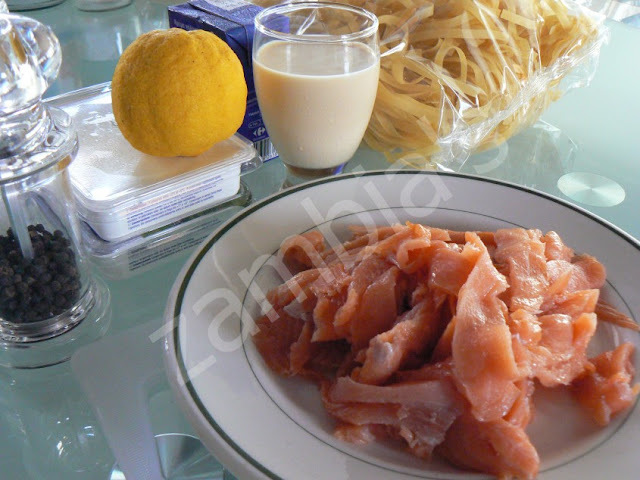 In the meantime cut the smoked salmon into small pieces. 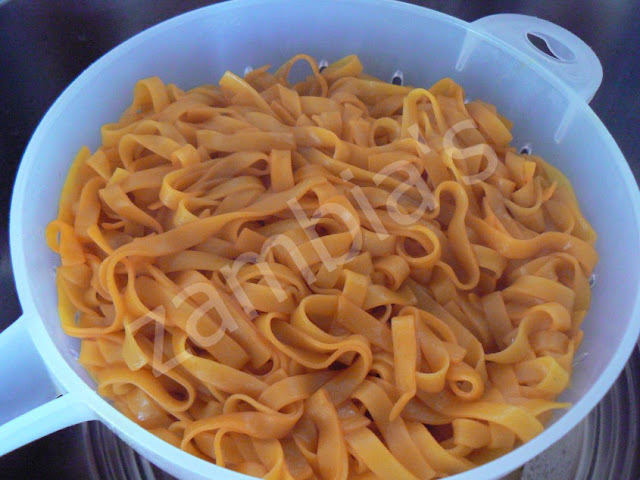 Drain the tagliatelle and rinse with water. Leave them in the colander for a while and put them back in the pot where they were boiled. 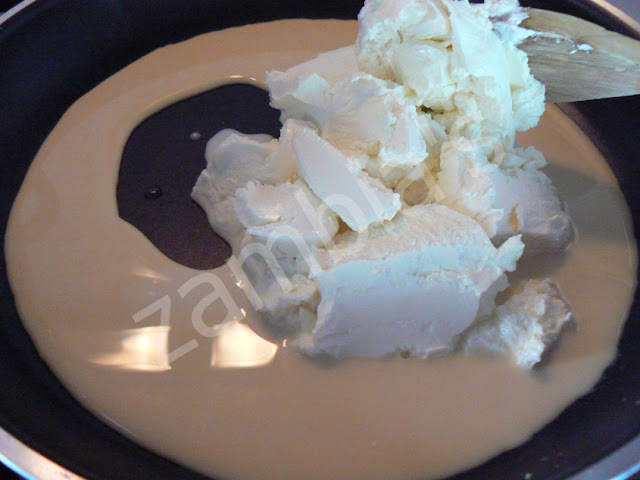 In a skillet, heat the milk, the cream cheese and lemon juice, stir to melt. Add some pepper. 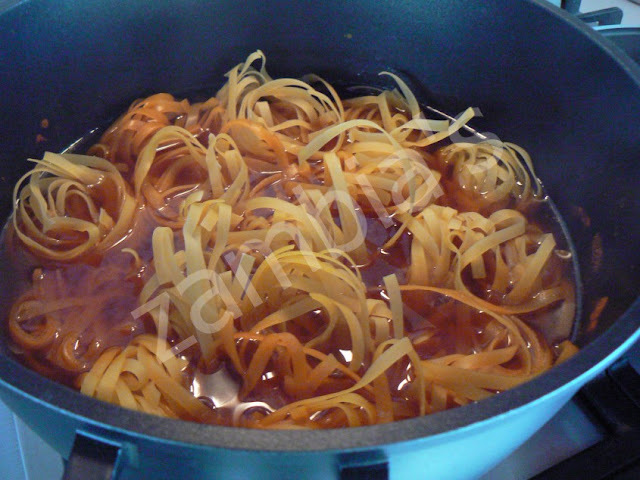 Make sure the mixture is quite runny, otherwise it is absorbed by the tagliatelle and get dry. If necessary add a little more milk. 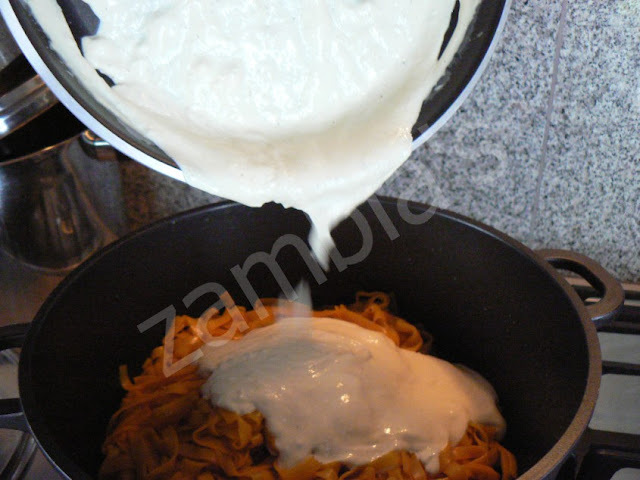 Pour the mixture in the saucepan with the tagliatelle, and stir well to mix. Finally put in the saucepan the pieces of smoked salmon, and stir carefully. Sprinkle with pepper. Simple, easy, quick and tasty dish. 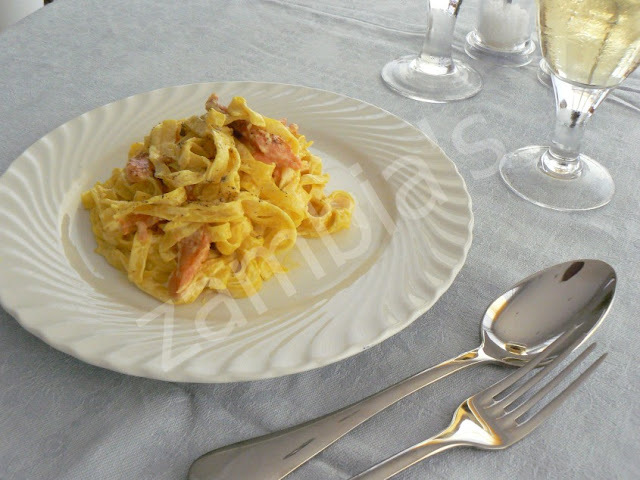 Served with a well chilled, dry white wine of your choice that suits your appetite!